On joining the BBC in 1964 from Rank Cinemas, John Hale first became a Technical Operator and later Studio Manager in BBC Network Radio based at Broadcasting House, London. He also worked at Maida Vale in the Radio Film Unit, where he was Tape Editor, Projectionist and Sound Mixer. In 1968 John was appointed Assistant Dubbing Mixer in the BBC Television Film Department, initially working on sound for TV News at Alexandra Palace, North London. He then moved over to the Television Centre in West London and Television Film Studios, Ealing, working on a great variety of programmes, many of which requested him as Acting Dubbing Mixer. In 1976 John was appointed full Dubbing Mixer (Sound Designer, Re-recording Mixer) and quickly became known for his meticulous work on such series as Shoestring, Bergerac and Miss Marple. He collected three BAFTA nominations for Best Film Sound for Threads (1985), Around The World In Eighty Days (1990) and The Secret Nature of Britain (1993) and was also selected for judging on the BAFTA Sound Jury. He was a founder member of the Institute of Broadcast Sound in 1977 which promotes the highest level of expertise in the sound industry, and gives talks and lectures on his subject. 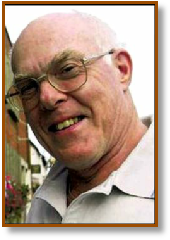 More recently the IBS (now the Institute of Professional Sound, the IPS) awarded John Honorary Life Membership. In later years John continued his interest in post-production and added camera work and lighting to his skills in order to produce videos on DVD including feature length documentaries on Lawrence of Arabia - His Final Years in Dorset, the evolution of Radar (Echoes of the Past) and Cordite! The story of the Royal Naval Cordite Factory in Dorset. He also designs websites and has maintained his lifelong interest in meteorology. In 2002 John and his wife Janice moved from Hertfordshire to a beautiful bungalow in the country in a hamlet on the outskirts of the delightful small Dorset town of Wareham, only a short distance from Poole Harbour and the South Dorset Coast, to enjoy the peace and tranquillity of the Isle of Purbeck.